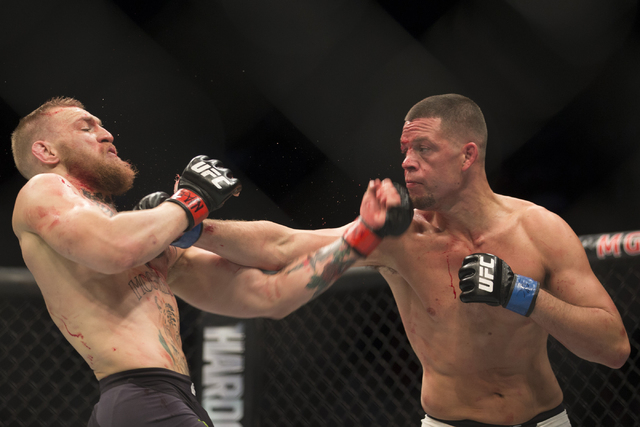 After rallying for a second-round submission of Conor McGregor at UFC 196 on Saturday at the MGM Grand Garden, Nate Diaz knew his moment had finally arrived. Diaz often has complained of a lack of promotional support from the UFC, but that shouldn’t be a problem anymore. 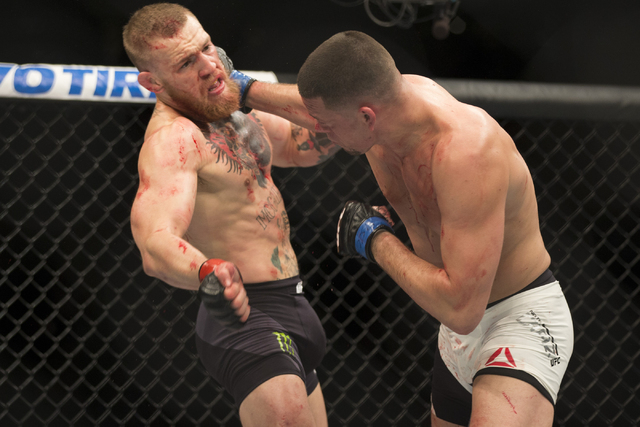 After rallying for a second-round submission of Conor McGregor in the main event of UFC 196 on Saturday night at the MGM Grand Garden, Nate Diaz knew his moment had finally arrived. 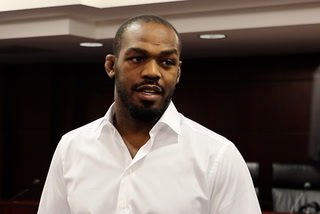 Diaz often has complained of a lack of promotional support from the Ultimate Fighting Championship. 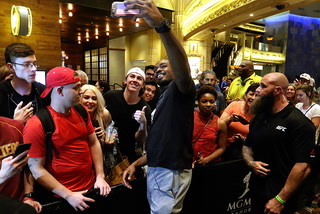 That shouldn’t be a problem anymore after his dramatic win capped a card that UFC president Dana White said is trending as one of the most purchased pay-per-view events in the company’s history. 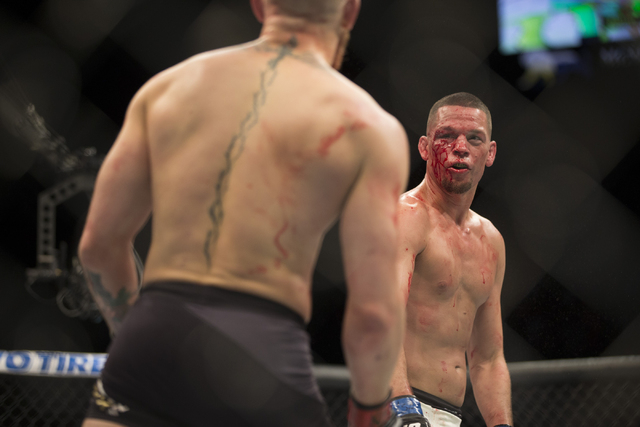 “He had a lot of push,” Diaz said of McGregor. “He’s been doing great, and he’s got a lot of help behind him. I just wish I had the same push, the same help. I’ve been in this a long time. 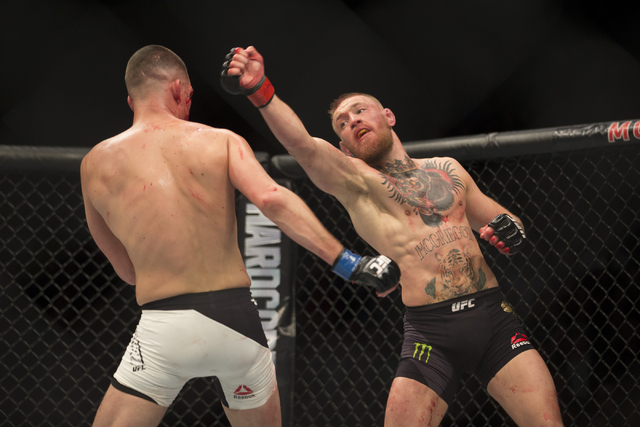 UFC 196 did a gate of $8.1 million, the second-highest figure ever for a mixed martial arts card in Nevada, falling short of only the $10 million generated for McGregor’s last fight in December. 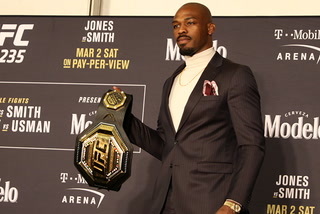 Fans of the unpredictable certainly got their money’s worth, as the women’s bantamweight title changed hands when Miesha Tate upset Holly Holm with a fifth-round submission in the co-main event. 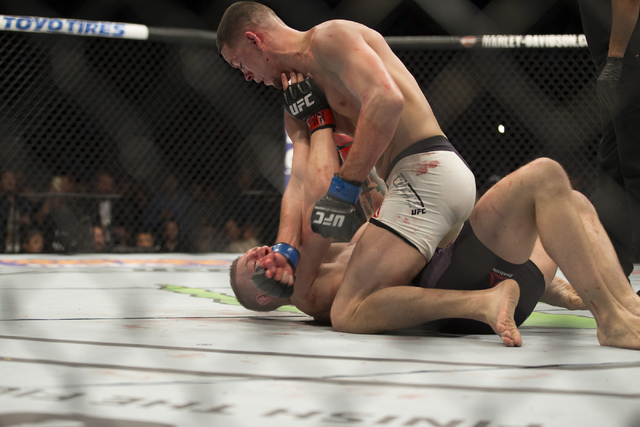 The stunning victory opens a lot of doors for Diaz. But the card, while extremely successful at the box office and providing a great deal of excitement, slammed a few shut on the organization’s plans. 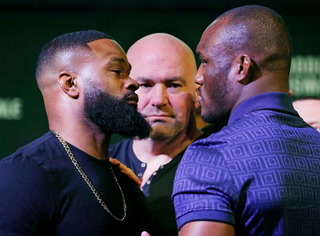 White insisted the UFC made no firm arrangements beyond Saturday because fights are so difficult to predict. 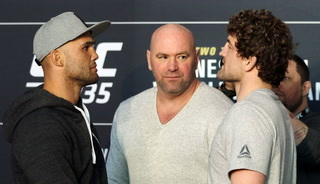 But all indications pointed to McGregor challenging Robbie Lawler for the welterweight title at UFC 200 on July 9 at T-Mobile Arena had he defeated Diaz. 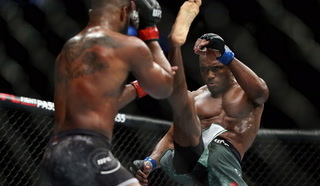 Now Diaz might get that opportunity, or he might opt for a shot at the belt in his natural lightweight class against champion Rafael dos Anjos, even though he lost to dos Anjos in December 2014. Neither fight is as marketable as it would be if McGregor, who is still the featherweight champ, was pursuing a second belt. McGregor indicated he probably would return to 145 pounds to defend that title after competing 25 pounds above his weight class in a nontitle bout against Diaz. UFC 200 remains a distinct possibility for a title defense, though the opponent isn’t completely clear. 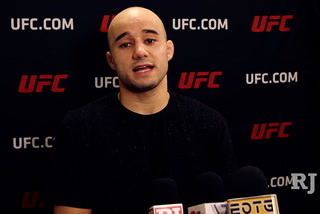 Jose Aldo and Frankie Edgar are in line for the shot and have been vocal in their pursuit of the fight. 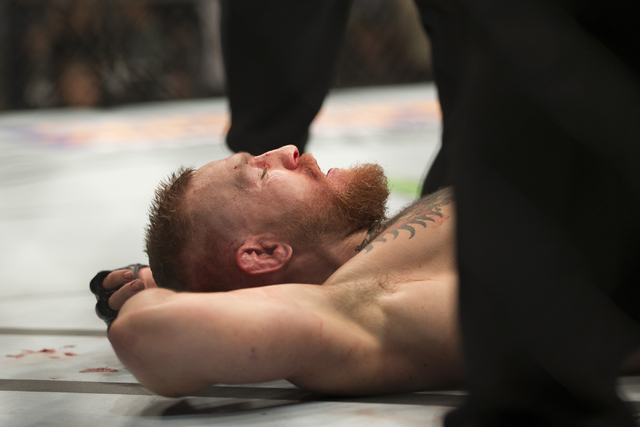 McGregor won the belt from longtime champ Aldo in December with a 13-second knockout. Edgar has won five straight fights since losing to Aldo in 2013. McGregor said he will “keep his ear to the ground” to determine whom the fans would most like to see as his next challenger. The picture in the women’s bantamweight division isn’t any clearer, either. Tate, a Las Vegan, ruined the organization’s plans for possibly the biggest fight in UFC history when she submitted Holm, who had won the title by knocking out the previously unbeaten Ronda Rousey in November in Melbourne, Australia. Holm took the fight instead of waiting for Rousey to return for a rematch. 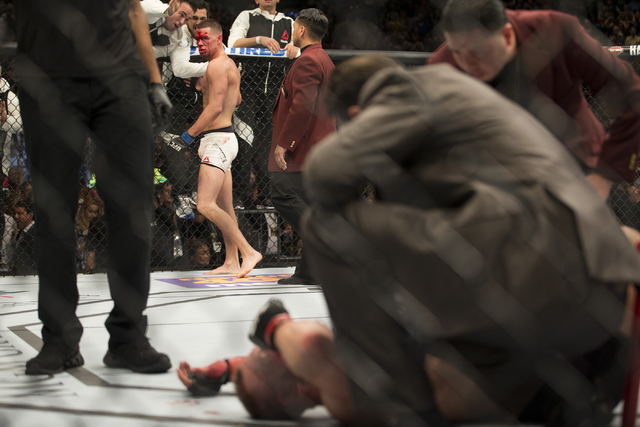 And the risk proved costly for Holm and the UFC. 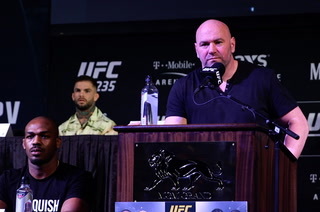 “She’s not surrounded by business geniuses, but props to her for fighting,” White told UFC.com, referring to Holm’s manager, Lenny Fresquez. But Holm defended the decision. White wouldn’t commit to what’s next for Tate and Holm during Saturday’s news conference, but he was more clear on ESPN afterward. 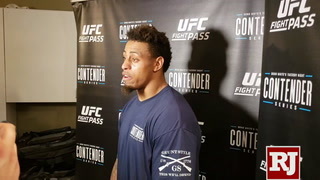 He said Tate’s first title defense would be against Rousey, who has two wins over Tate but might not be ready to fight until November. White added that he would mention UFC 200 to Rousey, but a fight that soon seems unlikely for the former champion. Tate said she’s open to anything now that she has the belt. If UFC 200 was damaged by Saturday’s results, one of the spectators at UFC 196 might be able to help repair it. 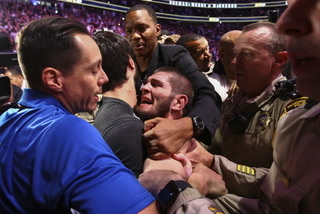 Former welterweight champion Georges St. Pierre sat in the front row and took in the dramatic action. 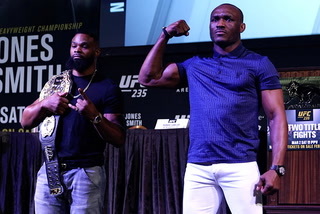 White said he still doesn’t know whether St. Pierre, who retired in 2013 after defending the belt against Johny Hendricks, wants to make a comeback. But White did confirm there have been discussions about the possibility of St. Pierre fighting at UFC 200. That could go a long way toward erasing any concerns about the potential matchups wiped out by Saturday’s results.